Two weeks to go. We need you! Please join us for the annual Walk. It is the best opportunity to demonstrate that mental health treatment is a civil right and to fight the stigma that is all too prevalent in our society. The Walk will be at Grand Park in downtown Los Angeles, October 3. 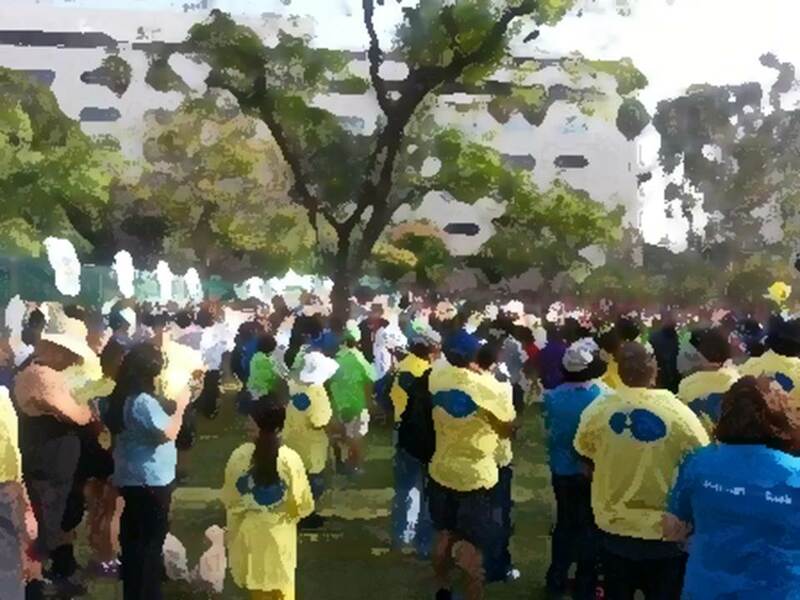 Grand Park is a lovely venue with many iconic Los Angeles landmarks along the Walk. Trendy food trucks will be at the park early that morning and there are many well known eateries including Grand Central Market nearby. Parking is available at Grand Park and a transit station is in the Park. We will have a NAMI South Bay booth and look forward to seeing you there. To become a Team Captain CLICK HERE for instructions on how to register. Recruit families and friends. If you can’t be a Team Captain, please join one of our existing teams listed below as a Walker or support a Walker. If you are interested or have any questions, please contact Paul Stansbury at pstans5@aol.com or (310) 892-8046. This entry was posted in Awareness and tagged NAMIWalks. Bookmark the permalink. Great page with winderful photos & information!